When the Virginia Tech Carilion Research Institute (VTCRI) launched in 2010, its founders faced a significant challenge: how to rapidly position a new institution to compete for global talent with academic health research powerhouses that had been operating for decades, if not centuries. Despite the daunting nature of the goal, VTCRI Founding Executive Director Michael Friedlander and a dynamic team of world-class researchers have made substantial progress in just eight years. Credit this to the talented researchers recruited to VTCRI—drawn by a combination of factors that include the state-of-the-art facility, attractive startup packages, the city’s location amid the Blue Ridge Mountains and the opportunity to work closely with colleagues from varying disciplines at Virginia Tech and physicians at Carilion Clinic with interest and experience in academic medicine. 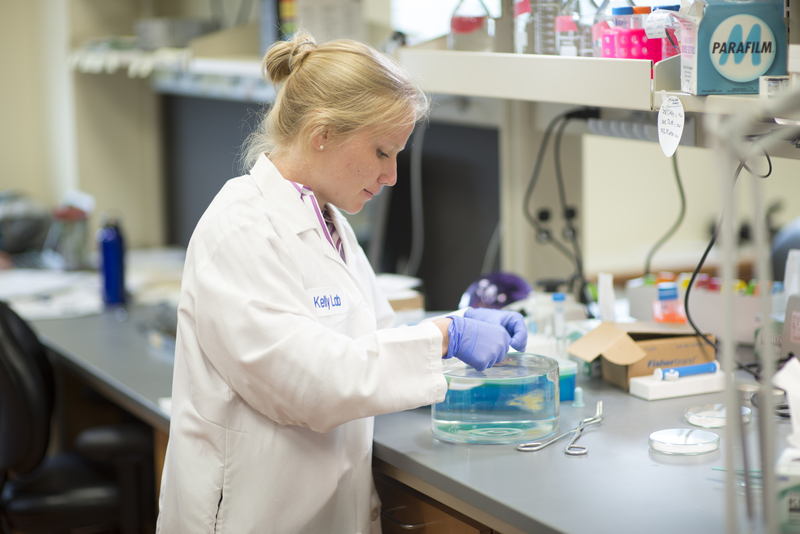 VTCRI researchers operate on the leading edge of neuroscience, cardiovascular sciences, rehabilitation and repair, immunology and cancer. The scientists not only compete successfully for federal grant funding but also partner with the private sector to develop the next wave of medical advances, bringing their work from the lab to the patient. VTCRI scientists sometimes flip that concept, working to understand the molecular, behavioral, and computational mysteries underlying successfully applied clinical care. That’s what Deb Kelly, an associate professor, is doing with cancer cells. Her team utilizes a special electron microscope to examine the structure and interaction of molecules, such as breast cancer-susceptibility proteins, to visualize and understand how they work—and how they can work to repair cellular processes that lead to cancer. Using the high-powered cryo-electron microscope in her lab at VTCRI, as well as substrates and preparation technologies manufactured by a partner company, Protochips Inc. of North Carolina, Kelly has been able to identify a visible mutation on the protein that signifies the onset of cancer. She and her team have altered parts of the mutated protein so that returns to a normal appearance and behaves normally as well. The hope is that the technique can be more broadly applied and incorporated into cancer treatments. Kelly was first attracted to VTCRI because she has family in Virginia, but the opportunity to interact with the medical school and Virginia Tech’s other colleges, including engineers and technology experts, sealed the deal. Warren Bickel, another early recruit, studies addiction science and why people make bad decisions. Bickel collaborates with Matt Hulver, who heads up the Department of Human Nutrition, Foods, and Exercise in the College of Agriculture and Life Sciences. 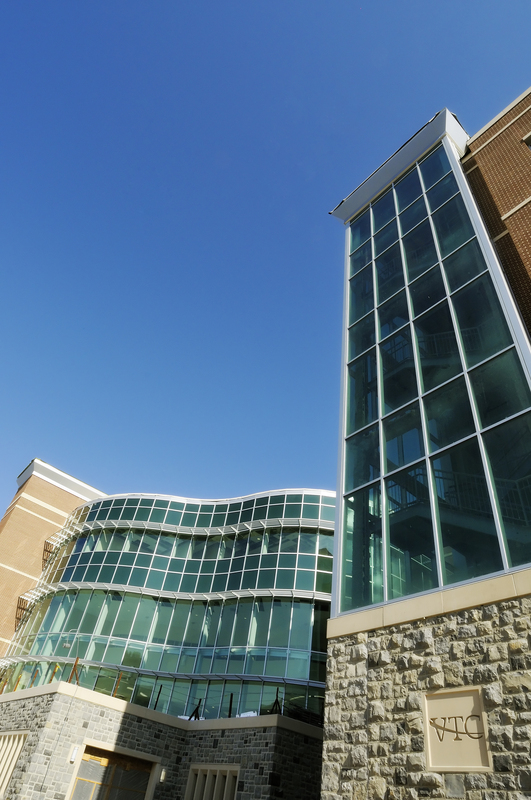 Their research on decision-making, which is associated with the new VTCRI Center for Transformational Research on Health Behavior, focuses on people with obesity, diabetes, and other diseases that are caused or aggravated by poor lifestyle choices. Bickel’s research revolves around “immediacy bias,” or why people sacrifice future well-being in favor of a short-term gratification; the development of an international quit-and-recovery registry, which collects data from self-identified addicts and currently includes about 8,000 participants; and the creation of an experimental tobacco marketplace to examine smokers’ buying decisions and how access to healthier alternatives affects their purchasing habits. 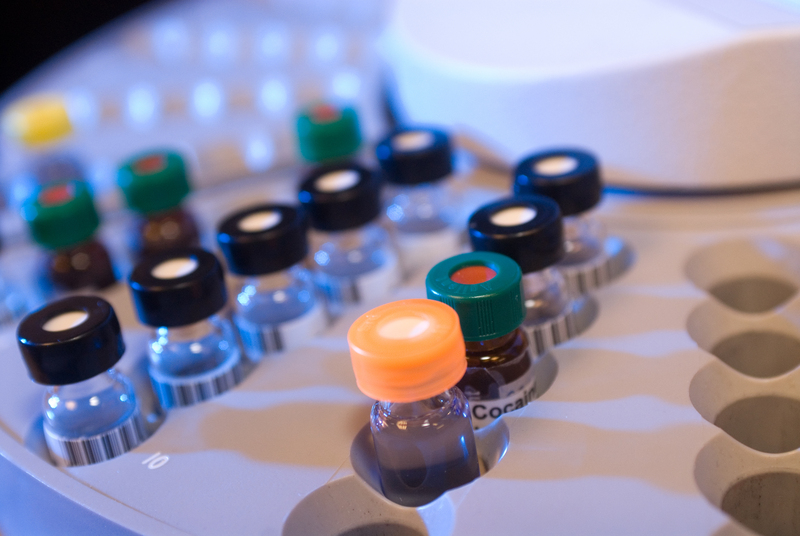 Some of the research findings are being incorporated into a small business known as BEAM Diagnostics, which stands for Behavior Economics as Advanced Medical Diagnostics. “What we’re doing is seeing if we can take some of these ideas about this temporal window, to develop a quick and easy diagnostic device based on how much you value the future and value your brief intense reinforcer,” Bickel said. The potential applications for a related app or device in managing the opioid crisis are striking. Yet Bickel’s work with other additive substances has even greater potential for saving lives: about 65,000 Americans died from opioid overdoses the most recent year for which data is available, but 180,000 Americans died from alcohol and 480,000 died from tobacco-related causes. Capitalizing on his connections during the initial round of recruitment, Friedlander reached out to former student and then-colleague, Read Montague, as well as former colleagues, Craig and Sharon Ramey, accomplished developmental psychologists. Meanwhile, Craig and Sharon Ramey, who hac co-founded the Georgetown University Center on Health and Education, were contemplating retirement. After visiting Roanoke, the pair chose instead to begin another professional endeavor. The Rameys’ research prioritizes school readiness and educational excellence; pregnancy outcomes; and new treatments for children with disabilities. As part of their work on school readiness, the Rameys have partnered with Roanoke City Public Schools, where 87 percent of students are eligible for free and reduced lunch, compared with a statewide average of 44 percent. Teaming up with Roanoke Public Libraries and more than two dozen other partners, Craig and Sharon Ramey have been involved with the Star City Reads project, as well as early literacy, family literacy, and summer learning programs in schools. 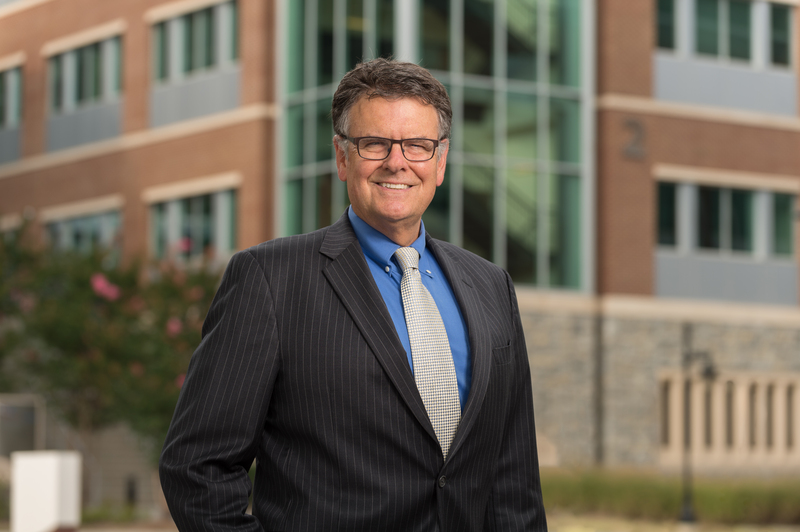 “When we came to Roanoke and met with then-Carilion CEO Ed Murphy and [Roanoke City Public Schools Superintendent] Rita Bishop, and others, we came to realize it was possible to carry out in Roanoke the kind of research and service that could be potentially transformative for the local population,” said Craig Ramey. The Roanoke City Council appointed the couple as the chief science officers for human development in the City of Roanoke, allowing them to work closely with city officials and the schools. In just eight years, the Virginia Tech Carilion Research Institute has attracted world-class faculty, won NIH grants at a level higher than many established academic health centers, laid the foundation for a growing regional biomedical industry, brought the Ut Prosim ethic to low-income children, taken strides toward improving lives, and built partnerships across the Roanoke Valley and beyond. Recruiting “entrepreneurial” faculty members—the kind who secure for research, make fundamental biomedical discoveries, publish in top peer-reviewed journals, translate findings into applications to improve human health, and commercialize the work into successful businesses has helped VTCRI to advance its mission so quickly. One such researcher is Rob Gourdie, who describes himself as an “intrapreneur.” Work in Gourdie’s lab led to the formation of FirstString Research, a company to create new treatments for wound-healing, which was developed in concert with Gourdie’s colleagues at the Medical School of South Carolina; and the startup Acomhal Research Inc., which Gourdie founded in Roanoke with VTCRI colleague Samy Lamouille to develop new approaches to fight brain cancer. FirstString Research earned recognition from the U.S. small business administration for innovation, and Acomhal Reseach has won federal small business technology transfer funding as well as recognition from the country’s public land grant universities. “I work within the university, but try to take discoveries beyond the lab bench, and that involves a different kind of thinking than is traditionally associated with the publish-or-perish motivation of academia,” Gourdie said. Driven by the success of the first eight years, VTCRI has an eye set on the future. Last year, workers broke ground on a new building that will see the institute continue to expand. VTCRI has accomplished a lot since 2010. Yet its work is really just beginning.